Schedule 20 – Schedule XXS (heavier on request) up to 250 mm thk. 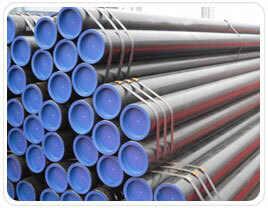 – End of API 5L Grade B, x42,x46,x52,X56,x56,x60,x70 Carbon Steel Seamless Pipe protected by plastic caps. We export API 5L Grade B, x42,x46,x52,X56,x56,x60,x70 Carbon Steel Seamless Pipe to Iran, Iraq, Oman, Qatar, Albania, Muscat, Bahrain, Turkey, Egypt, Maldives, Italy, UAE, Bahrain, Indonesia, Australia, Kuwait, Saudi Arabia, South Africa, Germany, UK, Denmark, Canada, USA, Peru, Brazil, Nizeria, Mexico, Venezuela (Latin America), South America, Russia, kazakhstan etc. Steber Steel is a well known worldwide exporter of API 5L Grade B, x42,x46,x52,X56,x56,x60,x70 Carbon Steel Seamless Pipe, Steber Steel is committed to provide each and every customer with the highest standard of customer service. We deals in API 5L Grade B, x42,x46,x52,X56,x56,x60,x70 Carbon Steel Seamless Pipe in India & Overseas, offering a wide range of API 5L Grade B, x42,x46,x52,X56,x56,x60,x70 Carbon Steel Seamless Pipe.